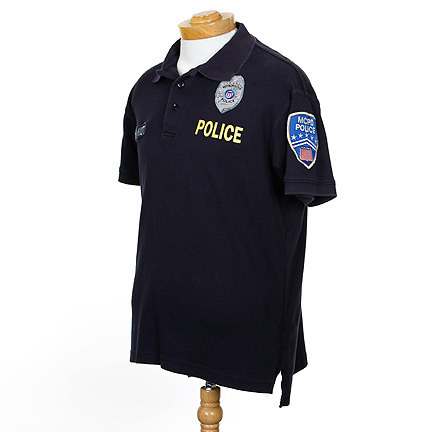 This shirt was worn by the character "Morton Schmidt," portrayed by actor Jonah Hill, in the 2012 action comedy, "21 Jump Street." 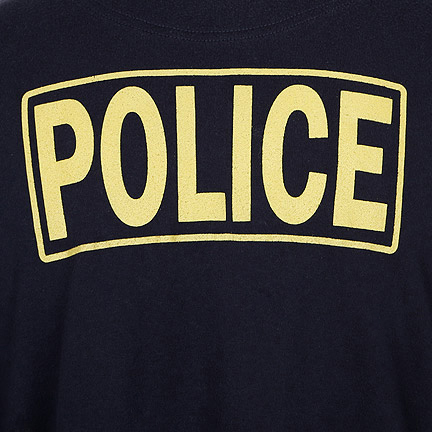 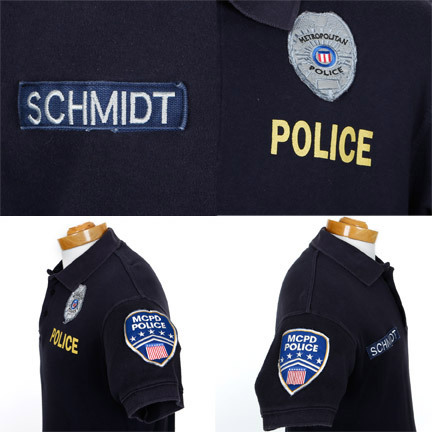 The police polo shirt is complete with a “Metropolitan Police” insignia, “MCPD Police” shoulder patches and a “Schmidt” name strip. 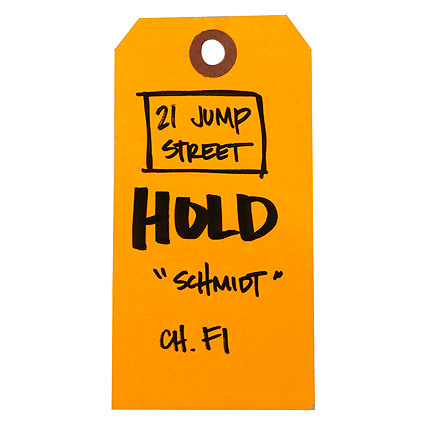 Includes a costumer’s tag with the following information written in black marker, “21 Jump Street, HOLD, ‘SCHMIDT’, CH. 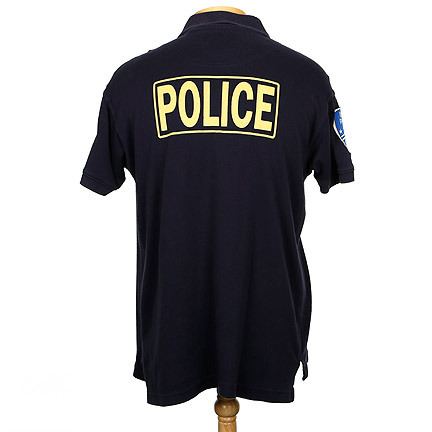 F1”. 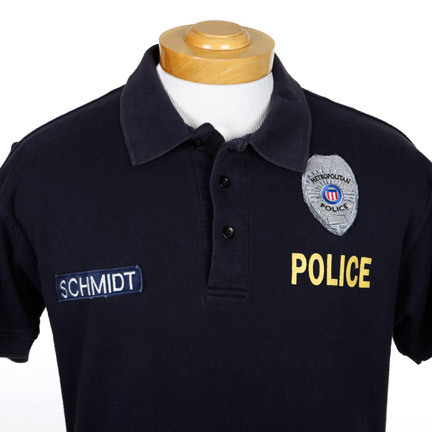 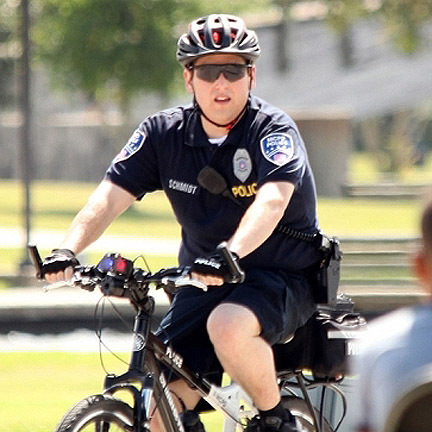 Mr. Hill can be seen wearing the outfit throughout most of the film when "Schmidt" and "Greg Jenko" (Channing Tatum) are out patrolling the city on their bikes. 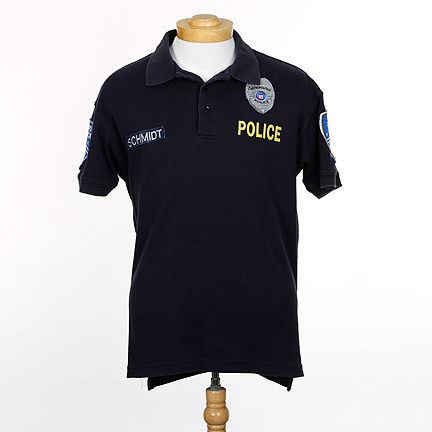 It can also be seen during the official trailer and various other promotional images for the film. 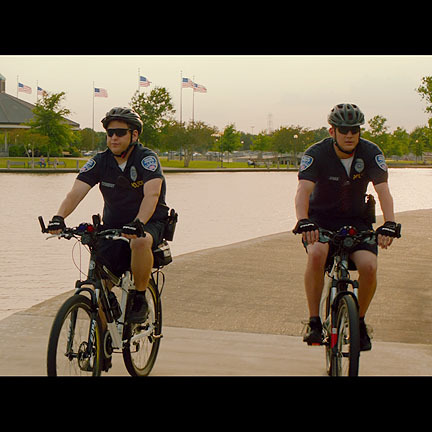 "21 Jump Street," starring Jonah Hill, Channing Tatum, Ice Cube, and Brie Larson, was nominated for six MTV Movie Awards.